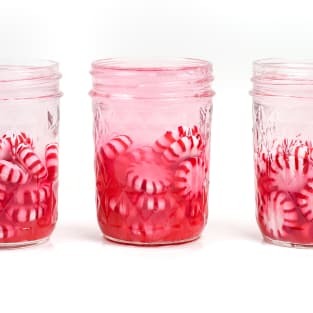 Fill a bowl or jar(s) with the peppermint candies. Top with vodka. Cover and let sit 4-5 hours, or overnight. For strongest flavor, let sit 3-4 days. Strain into a bottle, filtering out any candy particles. Discard any undissolved candy. Store in an airtight container.